Bass House is one of the most distinctive sounds to reveal itself this decade. Taking influences from techno, deep house and UK garage, Bass house has rapidly propelled itself into the main room of clubs across the UK. Artists such as Eats Everything, A1 Bassline, Scuba, Claude VonStroke, Pearson Sound, Shadow Child and Disclosure have helped elevate the sound to the next level. 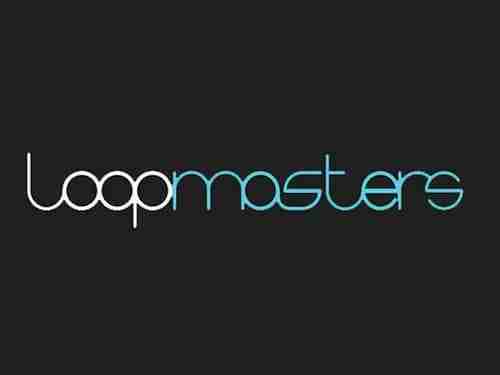 Loopmasters has teamed up with one of the most respected producers in the world at this moment in time, who is known as the legendary Tom Middleton. With over 23 years of experience under his belt, Tom has worked with some of the major players in the music scene right now, from the likes of the UK House superstar Maya Jane Coles all the way up to previous Glastonbury headliners such as Orbital and Snoop Dogg. Tom Middleton certainly has all the stars and stripes but does this sample pack live up to his prolific standards? The Pack has a whopping 1.23gb of 24 bit quality samples including 39 bass loops, 57 music loops, 38 kick loops, 9 mixed drum loops, 35 percussion loops, 19 snare clap loops, 44 top loops, 6 tuned drum kits, 236 drum hits, 11 bass one shots, 16 bass multi sampled instruments, 22 synth multi sampled instruments, 46 one hits and stabs, 43 SFX, 268 Rex2 Files and 115 soft sampler Patches for Kontakt, Halion, EXS24, Nnxt, Sfz, A full Ableton Live ready pack, Apple loops and Reason 5 refill are available separately when purchasing. The drum hits, percussive hits and loops are what you would expect to hear in detroit techno, with the distinctive old school 909 samples playing a part in a lot of the pre-made percussive loops. Having said that there are also some strong influences from Chicago House and UK garage. The sampler instruments are at a high standard with quite a vast library to choose your sounds from. The bass instruments (as you would expect) are the stand out area in this package, although some of the synths Tom has designed are very solid as well. For me though what makes this sample pack really come alive is the one shot samples. There are some really interesting textures, from soothing pad samples to piercing stabs, there is something on offer for any sort of four to the floor driven track. If your wanting to kick start your journey through making what we call bass house or even bass music this sample pack is the ideal place to get you on your way.